I’ve told some of these stories many times, but I’m still not tired of them. You might be. I first met Curtis Buchanan in 1987 when I was one of the students in his first class at Country Workshops. 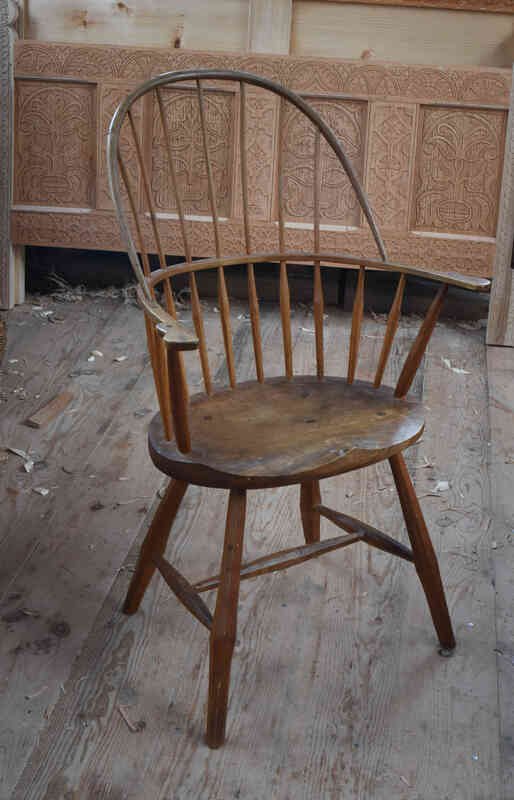 I learned Windsor chairmaking from him then, and made many chairs for about 5 years, when I veered off into oak furniture full-time and put away my scorp, travisher, reamer, sight-lines and all that jazz. I was thrilled to bits last spring when Curtis came up to take part in our Greenwood Fest. There, he was working on a version of his “democratic” chair. 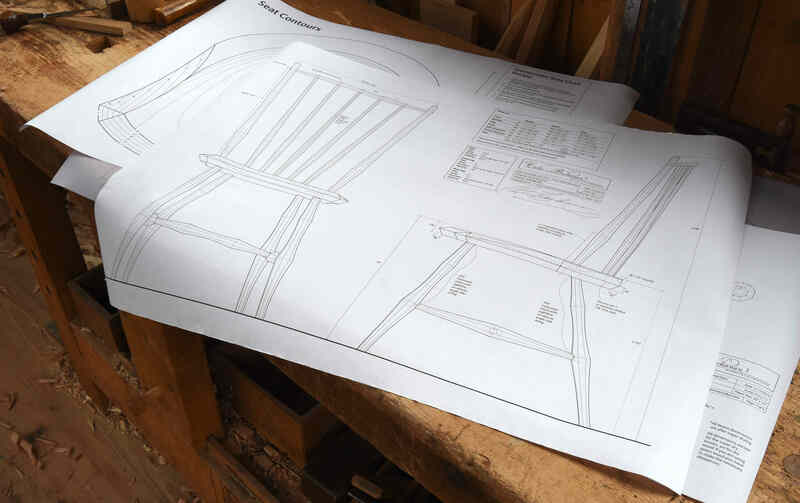 The premise of this chair is two-fold – it can be made with a small tool kit; thus within reach of someone just starting out woodworking on a tight budget. And in theory anyway, it’s a building block of a chair. Learn this one & you can then go on to other more complex chairs. here, he’ll tell you about the chair, then hunt down the youtube channel for him. He’s posted the first 4 videos for it, with more to come. 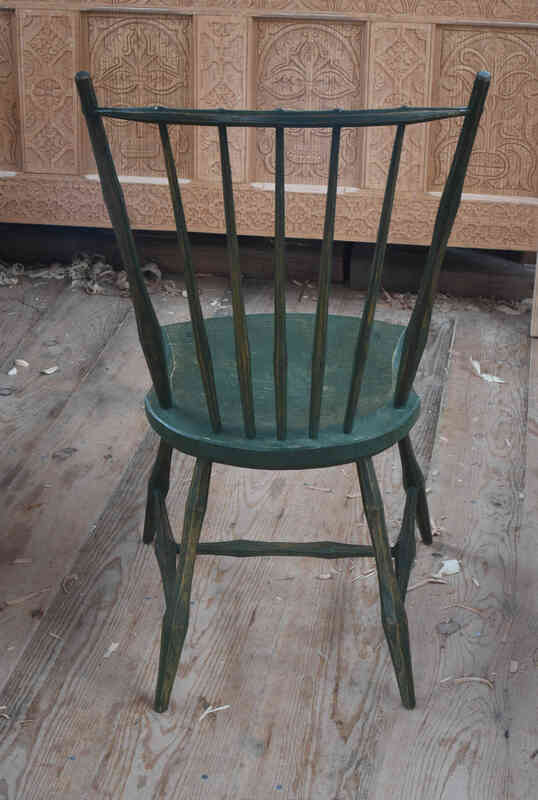 I made a “shaved” (not turned) Windsor chair 30 years ago; still have it kicking around, but it got bumped from the kitchen table when I inherited one of Curtis’ continuous arm chairs from Jennie Alexander. 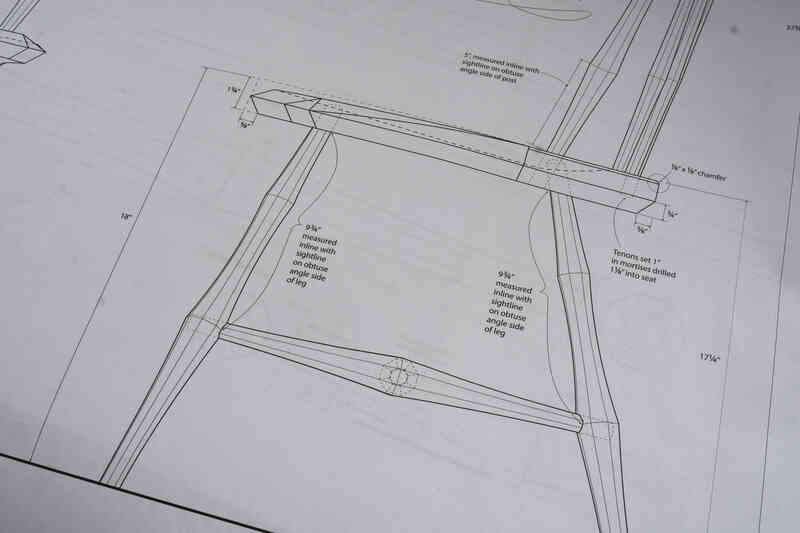 I made it based on Curtis’ sackback plans, but substituted shaved cherry legs, stretchers and arm posts. 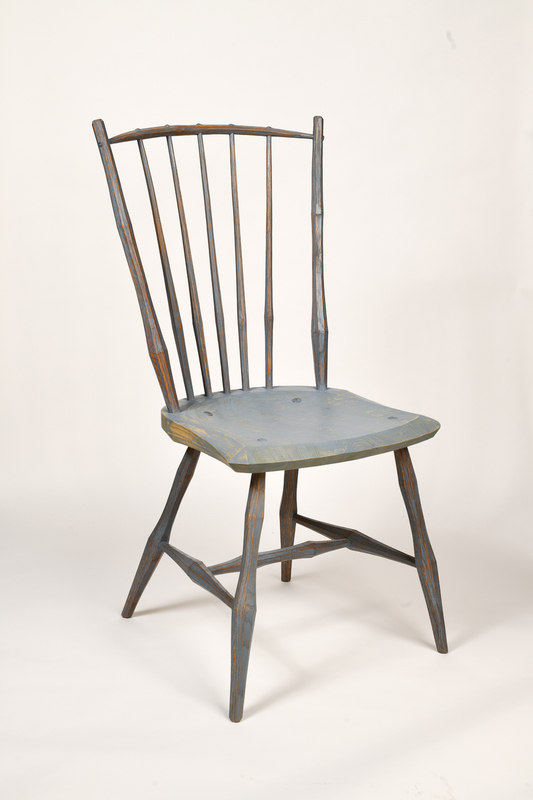 I got the idea from our friend Daniel O’Hagan who had one or more shaved Windsor chairs when I visited him in that era. 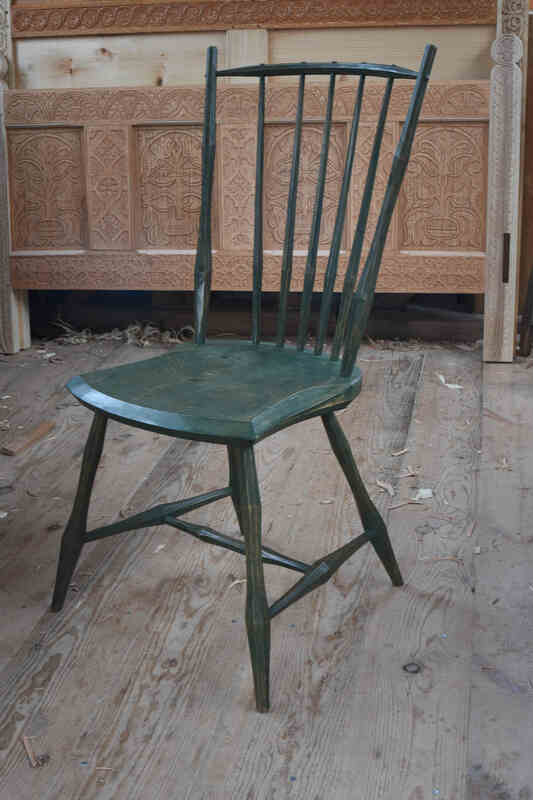 This chair is cherry, tulip poplar, ash, hickory and white oak. 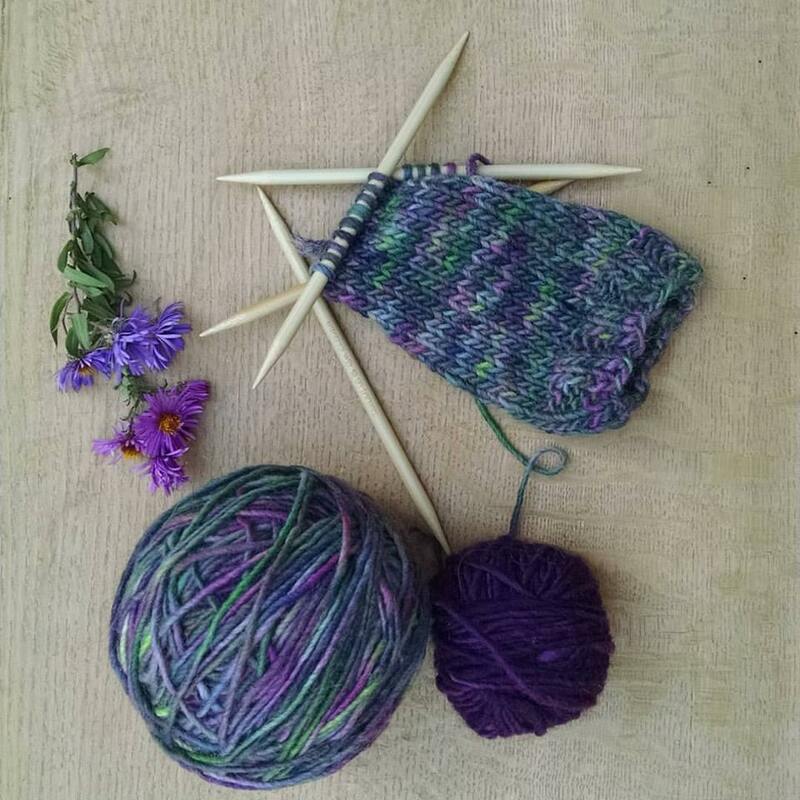 When new, they looked very different, but 30 years of use have blended the colors pretty well. Patience. 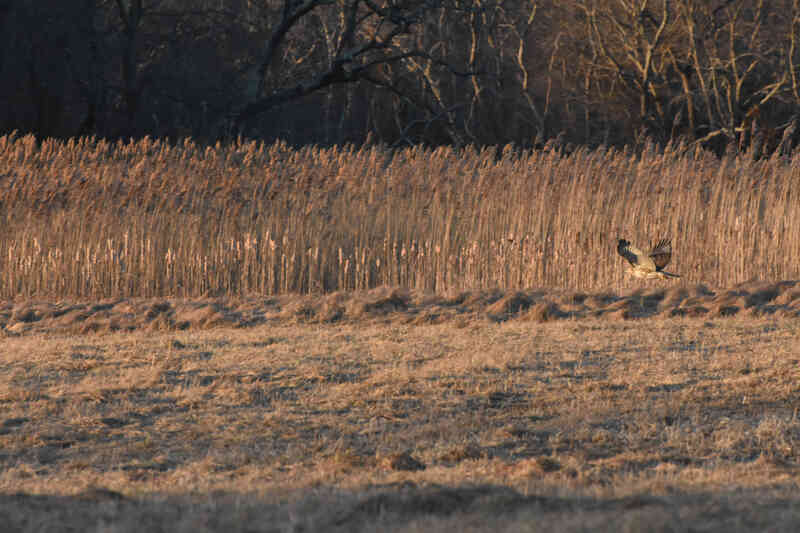 Similar colors the other day in this view of a red-tailed hawk hunting over a marshy area nearby.